We know you have a to-do list a mile long — we do, too! Which is how we know you’d do just about anything to make it a little shorter. Have you ever thought about outsourcing some of those never-ending chores? There’s no shame in recruiting someone else to take over the more mundane tasks, leaving you plenty of time to take care of the things you really want to do. Consider outsourcing some of these tasks to add a ton of extra time to your day. Most of us probably spend at least a couple hours a week at the grocery store. Imagine what you could do with that extra time! Meal delivery services like Blue Apron, Hello Fresh and Plated all take care of everything from meal planning to prep, sending you recipes and everything you need to quickly prepare them, starting at just over $3 per serving. If you’d rather design your own meal plan, Amazon Fresh lets you shop online, and fresh groceries are delivered to your door at a day and time you set. Many local grocery stores also offer delivery at little to no cost, so check with your favorite grocery spot — they may be willing to do your shopping for you. That laundry basket is never, ever empty. How great would it be to have someone else take over that time-consuming task? 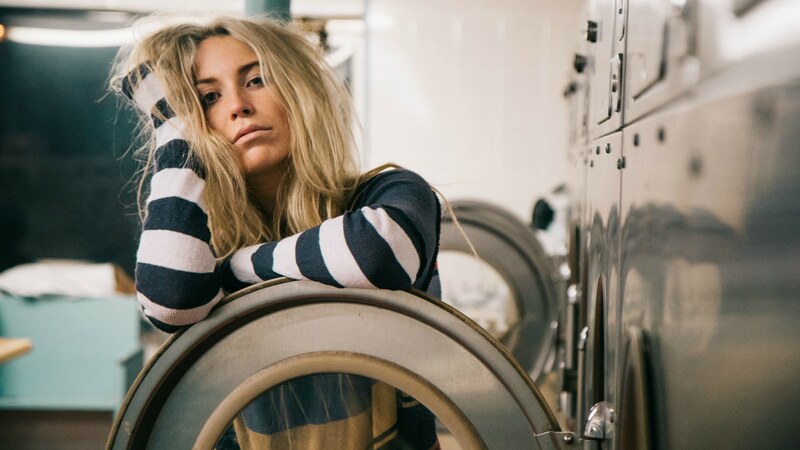 Most dry cleaners offer wash and fold services, meaning they’ll wash all your normal laundry and return it to you folded and ready to put away. The cost depends on where you live and whether you opt to drop off your laundry or have the service take care of picking it up and dropping it off. It can get pricey, but one New York City resident says she’s found dependable services for less than $1 per pound of laundry. Considering you do still have to pay for the laundry you do at home (that water bill doesn’t pay itself, after all), that’s really not that large of an expense. Raise your hand if you like to mow the lawn. Nobody? We thought so. Hire a local company to take over your yard work and you’ll have extra time on the weekends to do the things you love instead of slaving away over your yard. The cost will vary depending on the services you choose, but simple lawn mowing averages about $20 to $40 per week, and more complete services, including things like weeding and leaf blowing, tend to cost $65 to $90. Check craigslist or your local Facebook pages to find companies near you, or ask neighbors for recommendations. And don’t worry about your neighbors shaming you for having someone else mow your lawn — they’ll probably be jealous. How many times have you daydreamed about having a maid? Wouldn’t it be fabulous? It’s time to bite the bullet and hire one! Most cleaning services won’t pick up your clutter (no one’s perfect, right? ), but they’ll dust, vacuum and clean your bathrooms — a major win, if you ask us. National services like Molly Maid and The Cleaning Authority don’t post prices online, but they do offer free estimates, so there’s no harm in looking into it further. There’s nothing like the love of a dog, but those four-legged friends can be demanding of your time — and you don’t always have the time to give. Instead of leaving your pup without his daily exercise, hire a dog walker to make sure he gets the activity he needs to stay healthy. Sites like Rover and Fetch can put you in contact with experienced dog walkers in your area who can take your dog out for as little as $10 per walk. Keeping track of your household expenses and paying bills is a time-consuming (and sometimes depressing) task. Let someone else take on that headache for you. If you just need a service to help you keep tabs on your spending, sites like YNAB can help you out for less than $5 a month. Or, if you’d like even more help, a daily money manager can help take over paying your bills, balancing your checkbook, dealing with medical billing departments and haggling with creditors. The American Association of Daily Money Managers can help you find a trustworthy DMM in your area. There are so many random chores that come up from day to day. Appliances need fixed, furniture needs assembled, cars need washed and dry cleaning needs picked up — and that’s just a normal week. Those one-off tasks that you can’t schedule regularly can still be outsourced using sites like TaskRabbit and Fiverr. If you don’t have time to get it done, those sites will help you find someone who’ll take on the task.